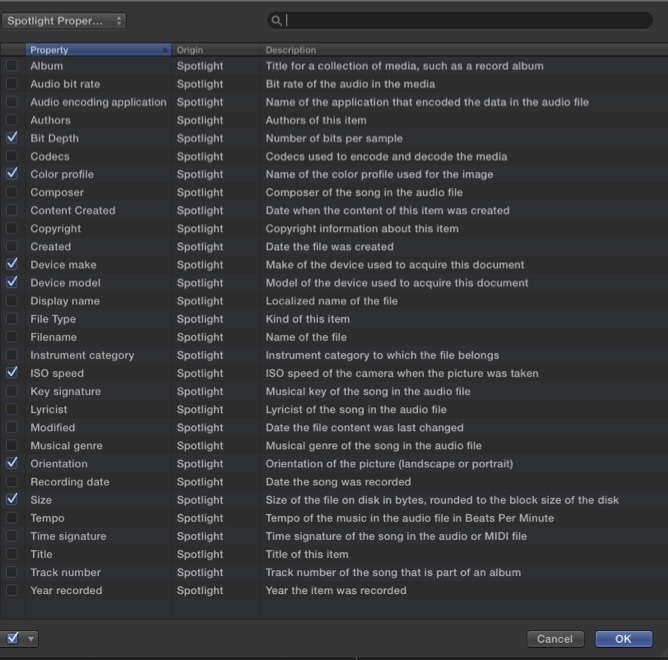 Spotlight is Apple’s system-wide metadata search tool. 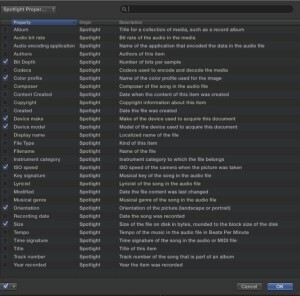 Final Cut Pro X uses Spotlight to extract any metadata that it can find in the file and displays it in the Inspector in a Metadata View that includes that metadata item. Spotlight metadata is only used by Final Cut Pro X, although this metadata is also readable in maOS Finder via Finder Tags. Available Spotlight metadata items in Final Cut Pro X’s Metadata Views window.